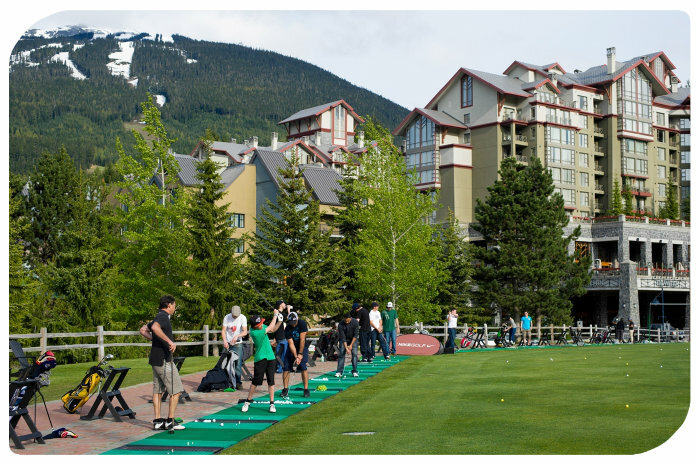 Ask us about our Golfing in Whistler packages including transportation packages! Interested in a custom golf tournament package, contact us to help your create your vision. 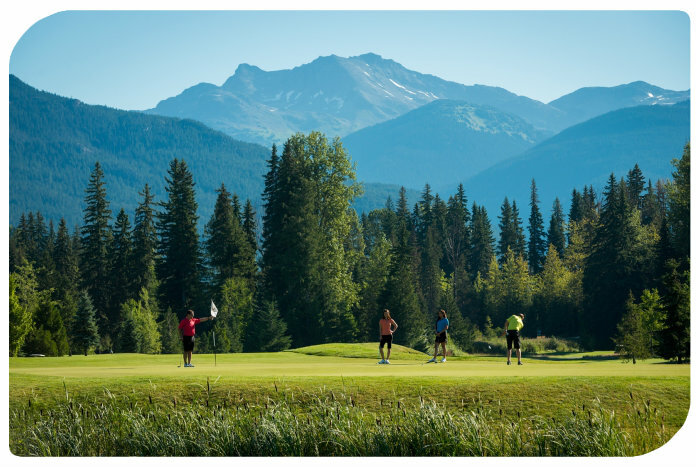 Just north of Whistler in Pemberton, it's ranked one of top 30 public golf courses in Canada. With an 18 hole course designed by course architect Robert Cupp, this course offers spectular views in an untaimed mountain setting. Contact us to book your Golfing Retreat. 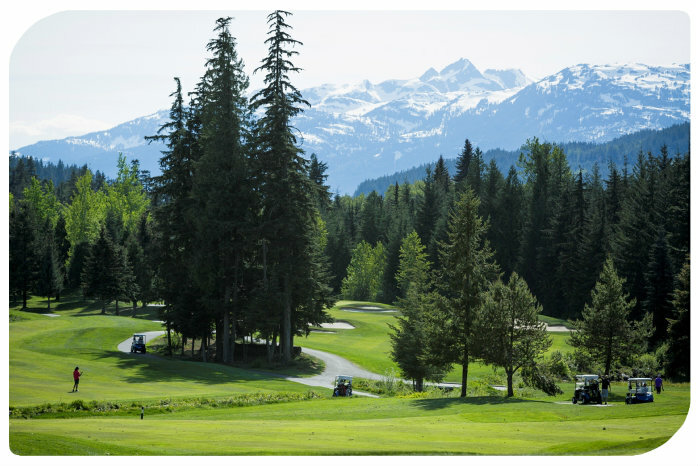 Located at the base of Blackcomb Mountain you will enjoy this course with every hole designed by Arnold Palmer. There is nothing like golfing in Whistler! Created by Jack Nicklaus himself this beautiful golf course has been played by some of the top names in Golf. Offering a par 71, 18 hole course. 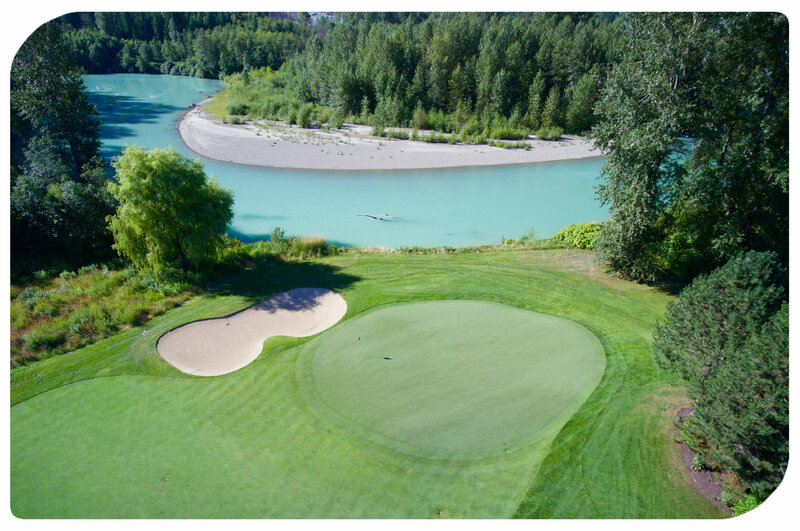 In the heart of Whistler, this golf course designed by Robert Trent Jones Jr offers a par 72, 18 hole Audubon-certified course. Golfing in Whistler in-style! This par 72, 18-hole golf course designed by Robert Muir Graves and built in 1993 offers panoramic ocean views and encounters with abundant wildlife along the Sea to Sky enroute to Whistler. Contact us to book your Golfing Retreat.